New chemistry introduced for cleaning PCBs. 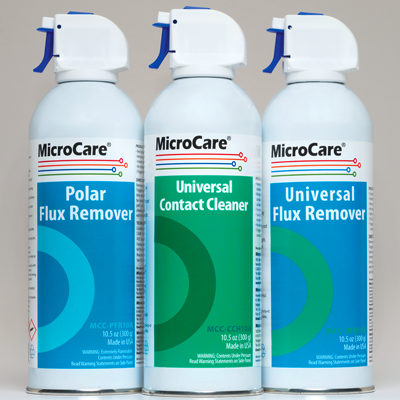 In brief: the three new cleaners are the Universal Flux Remover, the Universal Contact Cleaner and the Polar Flux Remover. 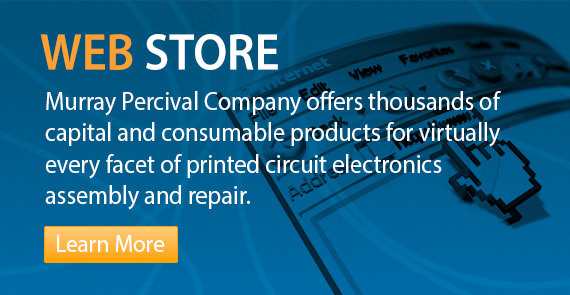 The non-flammable Universal Flux Remover is a general-purpose PCB cleaner. The Universal Contact Cleaner is formulated for rinsing contamination from electrical contacts, relays, switches and circuits. The Polar Flux Remover was designed as the most aggressive of the three and is an excellent choice for cleaning heavy, aged fluxes and pastes found in PCB repairs.